Welcome to Year 4! Here are just a few snapshots of life in year 4 at Birchwood Avenue! 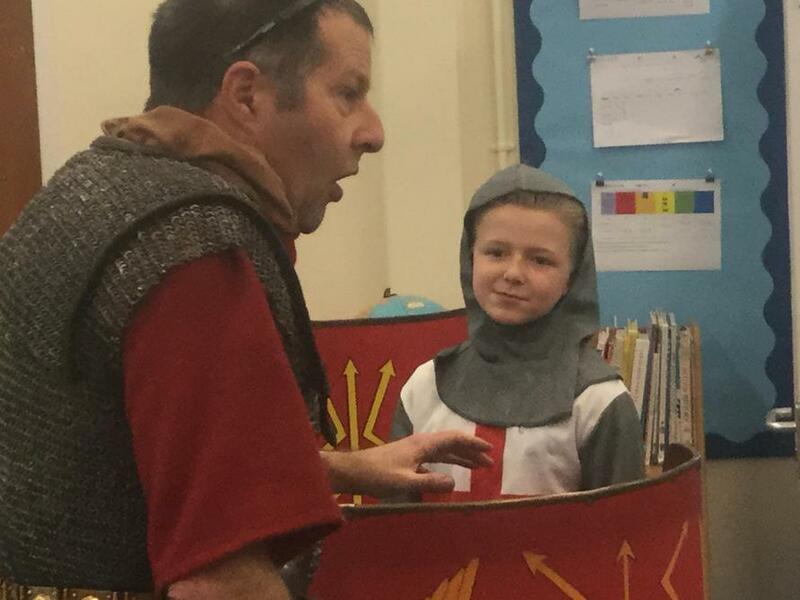 Year Four continue to investigate the Roman civilization this half term, following on from our fun introduction to Roman warfare and lifestyles in January! This term we will be completing our focus on historical fiction writing, looking at the story of Pompeii and the tragic events of August 79CE. 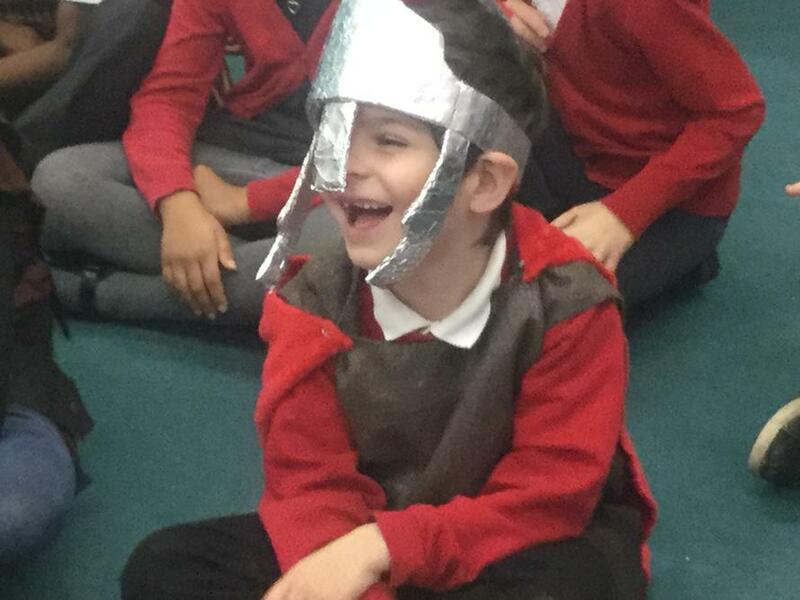 We will also be learning more about the life of a gladiator and deciding whether any of us would have wanted to be one at all! In maths we are investigating measures including kilometres – please talk to us about the distances you regularly travel so that we can compare them. Our science work focuses on states of matters, we will be carrying out experiments involving bottles of fizzy drink – look out for some more photos! PE continues to be on Monday and Thursday afternoons this term, please make sure kit is complete and always in school. Miss Brown is teaching the class again this term, with Mrs Ainsworth teaching on Wednesday mornings. 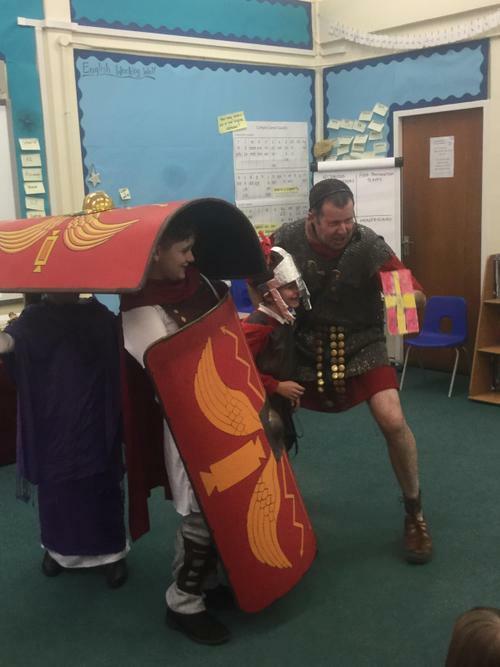 We are looking forward to studying Roman Warfare and Disaster this term! 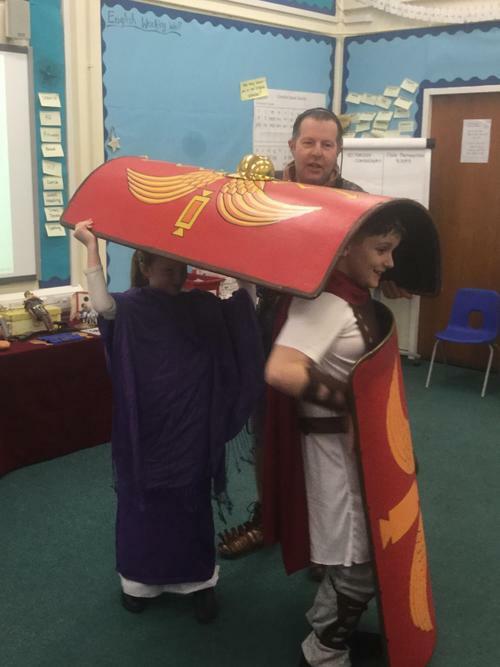 We will be dressing as gladiators and engaging in training, investigating the disastrous end of Pompeii, looking at timelines, historical facts, mythology and religion and Roman art and culture. 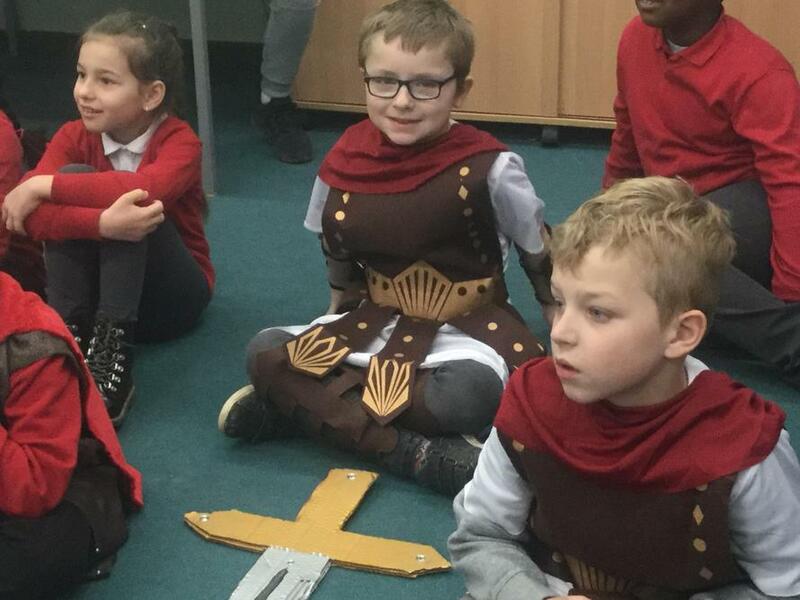 If you want to support learning at home, why not take a trip to Verulamium Museum in St Albans, the Roman Baths at Welwyn, look on the internet for interesting facts or make a model of a Roman temple? Number gym Improve your budding maths skills!! BBC Bitesize Stuck on your Maths, English, Science? Find extra info, games and quizzes to help. Sam Learning Want to find some extra learning activities, have a look at Sam learning.